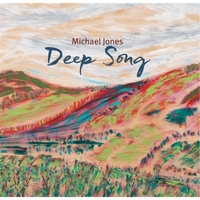 After a lengthy absence of nine years, Michael Jones is back with a new recording entitled 'Deep Song'. Nature has been a tremendous source of inspiration to the Canadian composer, and capturing the wonder of our planet was first and foremost in Michael's mind with his latest album. Each of the six pieces on this seventy-six minute recording take the listener on their own magical journey. Michael's music meanders and drifts in creating glorious compositions. The back cover states, "Deep Song is the natural music of the forests, woods, lakes and hills. It is the music of the earth rising up. 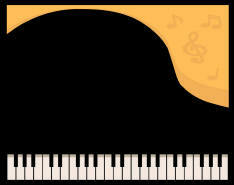 Music that will make us rich and makes us feel full." As I listen, I see the composer's hands caressing the Bösendorfer 225 Grand Piano on which this album was recorded. Opening with the fourteen minute long 'Stirrings of the Morning', nature awakens. The piece is in three main sections. To this listener's ear, the opening five minutes or so capture the fluttering wings of birds and insects exploring the offerings of the new morning. The second section is more playful and expressive- the day has commenced in full. The land is alive with the sights, sounds and smells of nature. The earth is rejuvenated with the fresh injection of light, and is nodding its approval accordingly. Melodic and uplifting, this is music to savour. In the final part, the world is united in celebration of our wondrous planet. The title track is actually the shortest piece on the album. It captures the beauty of planet Earth. Gentle and understated at the start, stirring and uplifting elsewhere. The section around 5:25 is one of my favourite parts of the entire CD. The plethora of notes is rousing. It is as if everything that is special about nature comes together as one. The tempo slows down as the piece concludes with high-pitched notes- I am reminded of the twinkling, heavenly stars arranged in the midnight sky. Just as a carnival is a joyous occasion, the same can be said of the third piece on the album. 'Carnival' is a happy, upbeat track, and in parallels to the long, meandering procession through the city streets, Michael's piano takes us into the countryside on a near twenty minute journey that celebrates all that is good about our unique planet. Vivid colours burst into life. There is zest in the music. All is well with the world, and this track captures this contentment. There are quieter, more subdued moments, but even nature needs a short rest once in a while! A poignant opening for 'Born on the Wind'. As the piece develops, the mood changes. Michael's playing is free-spirited. I am particularly fond of the section after the 6:00 mark. I think it's these crescendo moments I love the most about this composer's music. Track five is entitled 'The Earth Sings', and although it starts off quietly, the music becomes more joyous after the 2:50 mark. Around 7:00, the plethora of high-pitched notes represents to this listener's ear the jubilant birds as they dart, swoop, hover and fly merrily over the lush land and crystal-clear waters. Finishing quietly and with the tempo slowing right down, nature is now at rest. The first part to the final track on the album, 'Belonging to the World', reminds me of another piece from this composer. However, the listener might happily go on a favourite walk, and each day the sights, sounds, tastes and smells will never quite be the same: the summer flowers' petals will flutter as the gentle breeze dictates, the busy birds will chirp a catalogue of majestic tunes, and the freshly picked berries will satisfy the taste-buds with their varying degrees of sweetness. When the experience is this magical, why not revisit? The piece then takes its own original shape, and concludes the album with a majestic melody oh so befitting of this lovely album. In 'Deep Song', Michael Jones captures the wonder and beauty of Mother Earth. As pure as nature's first rain drop, the composer's music is perfect for relaxation. Soporific one moment, exhilarating in the next, let 'Deep Song' transport you to a world where the senses are stimulated beyond recognition, and Earth's natural wonders soar freely. "Exhilarating... let 'Deep Song' transport you to a world where the senses are stimulated beyond recognition, and Earth's natural wonders soar freely.